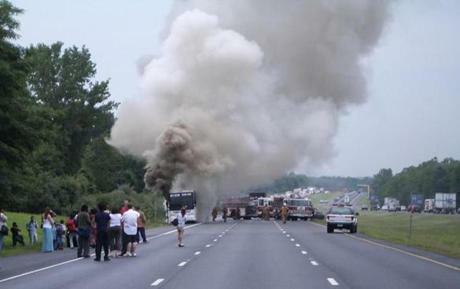 All 45 passengers escaped without injury after the fire. 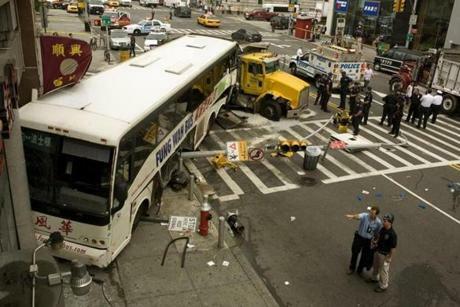 A Fung Wah bus crashed into a bank on June 23, 2008, in New York's Chinatown, after being hit by a dump truck, killing one person and injuring six. 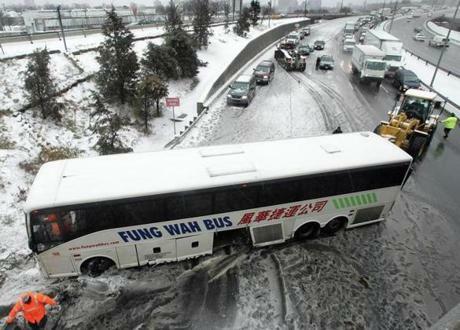 A westbound Fung Wah Bus skidded off the Mass. Pike right before the Allston-Cambridge exit on Feb. 14, 2007. 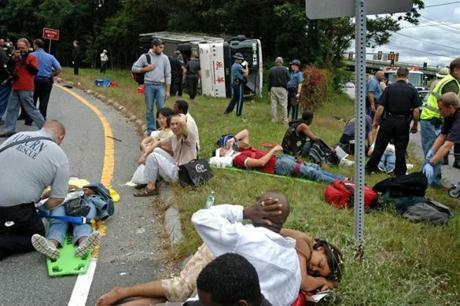 Rescue workers helped passengers after a Fung Wah bus overturned on an Interstate 290 off-ramp on Sept. 5, 2006, in Auburn. 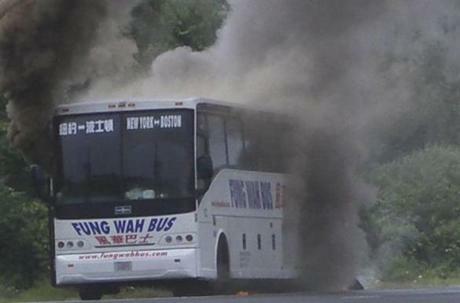 A Fung Wah bus from Boston to New York burst into flames on Aug. 16, 2005, on a Connecticut highway, just moments after passengers fled the bus. 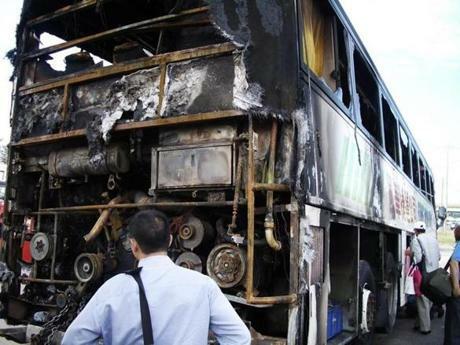 Damage from the August 2005 bus fire. 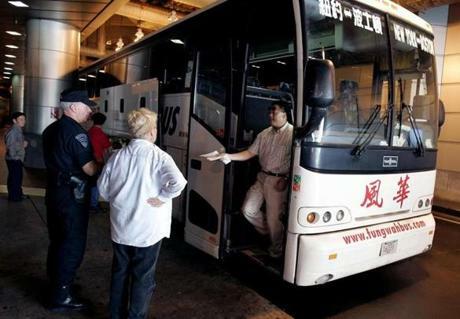 A Fung Wah Bus Company driver passed his paperwork to state inspectors during unannounced bus inspections at the South Station bus terminal on Aug. 24, 2005.